Benedict Cumberbatch has been weaving some Cumbermagic ahead of the release of Doctor Strange, which hits theaters next month. 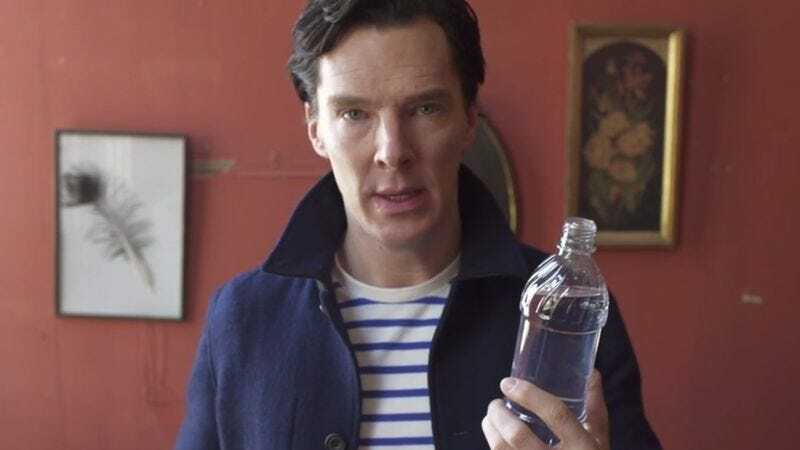 As part of a Vanity Fair interview, the new Marvel Cinematic Universe player shot a video in which he sips some water, a sight that’s probably enough of a draw for his most ardent fans. But his sonorous plea for water conservation is accompanied by an illusion that, despite being more The Last Airbender than the work of the Orb Of Agamotto, is still pretty damn cool. The Star Trek Into Darkness actor is a new parent, so the bit should go over well at his son’s first birthday party. And for his next trick, Cumberbatch will make Sherlock disappear.